Shout Out! ManMadeDIY Home | About Us | Opportunities | Sponsorships | Contact Us! If you’re looking for the most epic collection of DIY projects, shop spotlights, and product features online catering to the post-modern male, ManMadeDIY has it. We love this site, and have been drawing inspiration and instructions from it for a long time! Here, you can find everything from instructions on how to build a portable grill from a toolbox to how to brew perfect iced tea. This part of their site is a veritable encyclopedia of how to do stuff, build stuff, perfect stuff, and tweak stuff. Settle down with your favorite drink and a notepad – you’re going to get bombarded with ideas that get you excited about a weekend project! Men across the world are doing amazing things in the art, craft, DIY, and social empowerment realms. In this section of the ManMadeDIY site, you’re going to see some of the best! See what other people are doing to keep the spirit of creative alive, and pick up a little inspiration for whatever it is you’d like to create in your own life. Consider this your crafty life coach with a good story! 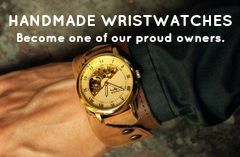 One of the things I love most about ManMadeDIY is that they put a whole lot of effort into spotlighting artisans, shops, and products from across the world. You’re going to find some of the most amazing things in this section of their site! There’s clearly a lot of work being done to find the maker’s and the shaker’s… go see! Do you have a favorite website we should know about? Let us know in the comments section below and we just may include them in the next Shout Out! Tagged ManMadeDIY, shout out. Bookmark the permalink.